For IT News Week 3 of Nov 2018, pay attention to Integrated Hybrid Cloud Offering by VMWare. In addition, from now until 25 November 2018, UOB Malaysia customers are able to enjoy their Americano coffees at just RM1 at Starbucks outlets nationwide when they pay with WeChat Pay MY E-wallets. To find out more about WeChat Pay MY and its promotions, customers can logon to www.uob.com.my. KEF, the British audio pioneer, has announced the launch of the LSX True Wireless Music System in Malaysia - a compact two-speaker wireless music system with all the convenience and connectivity of the connected world, but with the emotion and detail of true high-resolution stereo. The LSX bears KEF’s signature Uni-Q driver array as well as their highly advanced trademark-pending Music Integrity Engine™, allowing it to be compact and sleek, yet offer a massive, natural and deep sound field. LSX is fully wireless, both from source and between the speakers, and will feature Apple AirPlay® 2 technology enabling multi-room streaming from an iPhone, iPad or Mac in early 2019, as well as Spotify® Connect, Apple Music® and TIDAL® streaming from November 2018 onwards. LSX is also DLNA® compliant and boasts TOSLINK® Optical and Auxiliary connections, making it ideal for use with TV. It also sports four Class-D amplifiers, one for each of the drive units, alongside dedicated twin DACs that provide pristine signal path of up to 96kHz/24bit (using the optional wired connection between the two speakers) or 48kHz/24bit in completely wireless operation. The design of the LSX was overseen by designer Michael Young, with the result of a sleek form of understated elegance. The LSX comes in a choice of five colours - Black, Blue, Maroon and Olive - which are clad in a luxury fabric by Danish textile manufacturer Kvadrat – as well as a striking Gloss White. Sophos (LSE: SOPH), a global leader in network and endpoint security, today launched its 2019 Threat Report providing insights into emerging and evolving cybersecurity trends. The report, produced by SophosLabs researchers, explores changes in the threat landscape over the past 12 months, uncovering trends and how they are expected to impact cybersecurity in 2019.
tapp, the telco in an app powered by Digi Telecommunications Sdn Bhd (“Digi”) is collaborating with Cornetto Malaysia to provide a sweet surprise for customers from now until 26 November this year. 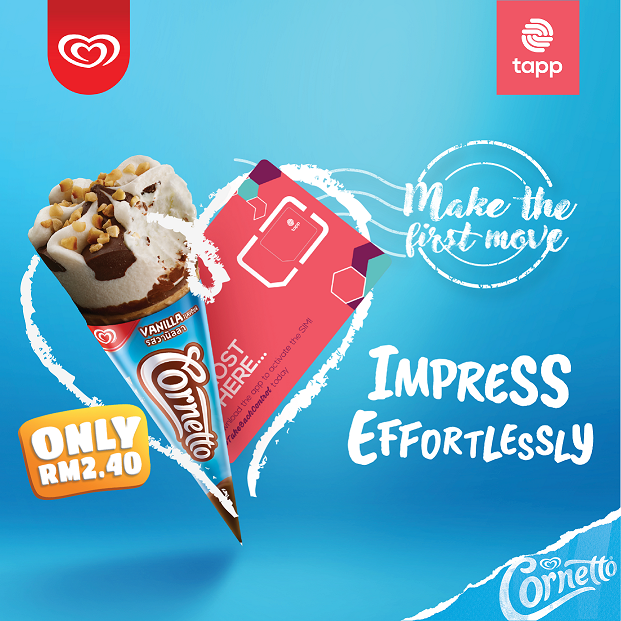 With this collaboration, customers will receive a tapp SIM for free whenever they buy a Cornetto ice cream at any of 7 Eleven’s 2,235 outlets across the nation. During the one month promo period, customers can claim the SIM from the payment counter for every Cornetto they purchase, while stocks last. tapp is a mobile app that allows customers to create and manage their own data plan, as well as personalise their own budget, validity, data and voice quotas based on their exact needs. As there is no auto renewals in tapp, customers have the option to sell back any amount of their balance quota at any time, and are not tied down to a contract. The availability of Workday running on AWS equips customers with the option to run mission-critical applications on a mission-critical platform. From 10 to 24th November 2018, join Janna Nick, Nazim Othman, Anzalna Nasir, Shukri Yahaya, and Saharul Ridzwan in their journey to discover exciting and fun TikTok features and trying out unique video challenges. Shoot creative videos of yourself using the hashtag #runfreefun and tag your favorite celebrity to show off your talent. Who knows, you might even get a call out by your favorite star! Shopee, the leading e-commerce platform in Southeast Asia and Taiwan, announces the success of Shopee 11.11 Big Sale. With overwhelming support from millions of users, Shopee broke last year’s record at 7:46AM (+8 GMT). 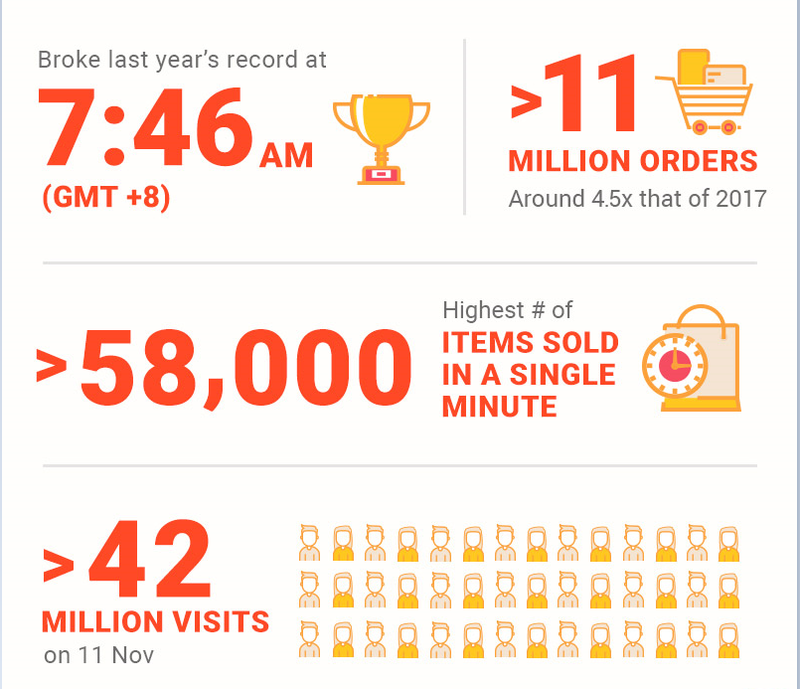 Across the region, more than 11 million orders was recorded on 11 November in 24 hours, around 4.5 times that of 2017. Total visits hit over 42 million as shoppers snapped up unbeatable deals across all categories. At its highest, over 58,000 items were sold in a single minute. Waze, the platform bringing together communities on and off the road, today announced that it has added the Cantonese dialect (粵語) as a voice navigation option that's being rolled out in stages starting from today. Hitachi Vantara, today announced it has once again been named a Leader in Gartner’s 2018 Magic Quadrant for General-Purpose Disk Arrays (GPDA), where the company was evaluated for its completeness of vision and ability to execute in the hybrid storage array market. 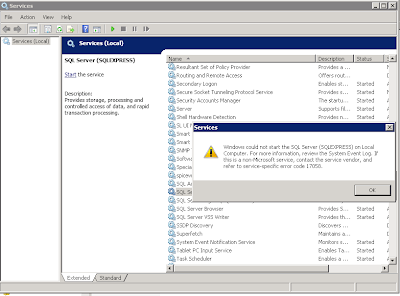 Hitachi Virtual Storage Platform (VSP) G series hybrid storage arrays were part of this assessment.